Sometimes most of the Android users face this kind of problem, During some modification on the rooted Android phone or while installing some custom ROM or MOD they did something wrong and the phone won’t boot. This means that the phone is bricked and now the question is how to fix bricked Android devices quickly. 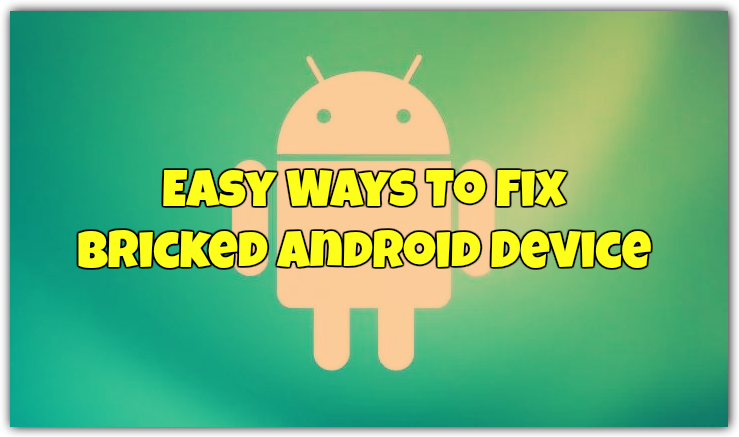 Don’t Panic, here in this guide we will help you solved all your problems related to Bricked Android phone. Bricking is classified into two types, namely hard bricked and soft Bricked. Hard Bricked Android – Nothing works on your phone, no screen display. Hard bricks are very bad for any Android users But happens rarely on the android phone. Difficult to Fix. If you are the rooted Android phone users and used the magisk Root Manager or Super Su rooted method to root the phone. Then you need to use this tip to avoid bricking your phone. 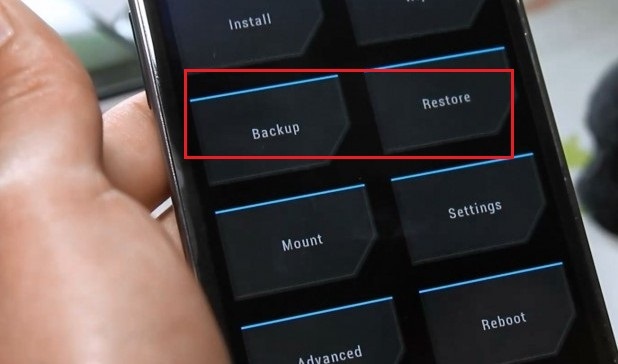 Whenever you try to root your phone or try to install some custom ROM on your phone before that do take the system backup of your phone with the help of your custom recovery. 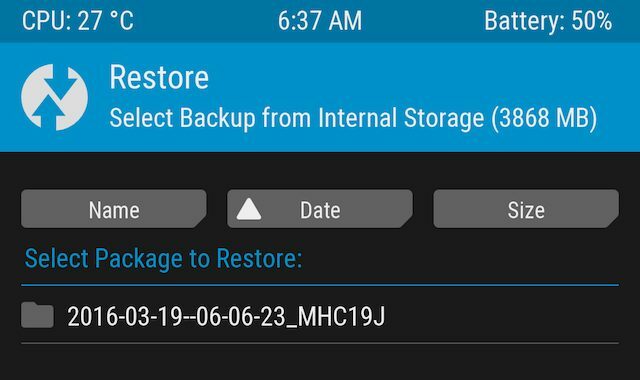 So if something goes wrong during the customization of your phone, you can easily restore the previous system backup on your phone. Always ensure that you are using the right ROM to flash your phone. And do take the System backup of your phone, One of the most important rules before flashing anything on your phone. Below are some of the steps which you can use on your Android phone and unbricked your Android device. All the steps are different and need some patience to apply on your device. Read all of them very carefully and follow any of them as per your phone requirements. After flashing the ROM on your phone, your phone stuck on the boot loop or reboot automatically. Then you need to follow this method. One of the most likely causes of soft bricking the Android. Works both on rooted and non-rooted phones. All you have to do is boot your phone into the recovery mode and wipe the cache and Data from the phone. It performs a factory reset, but it shouldn’t wipe your internal storage or SD card. When you restart your phone, you’ll see the Android setup screen. Just go to the recovery menu and, Wipe data and cache from the phone. If your phone only shows the fastboot screen. Then you can flash the ROM on your phone with the help of ADB sideload Method. You can find the latest ROM of your phone in the XDA forum. From here you have to download the Fastboot ROM for your phone. And use the ADB command to sideload the fastboot ROM file, and this will fix your bricked Android phone. Or You can Flash the Custom TWRP recovery on your phone. And flash the Full ROM zip file on your phone with the help of Custom TWRP recovery. 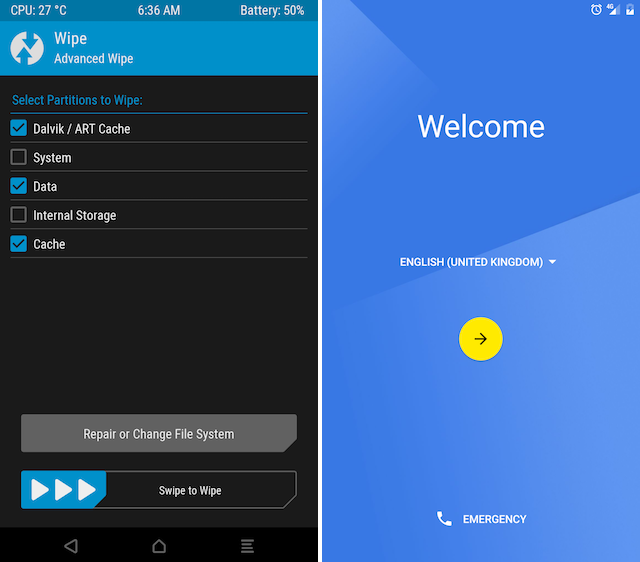 Check this guide how to install the TWRP recovery on the phone. All you have to flash the TWRP recovery in the Fastboot mode. And you can easily fix the dead or bricked phone. We posted so many guides on our blog to fix most of the Android phone. You can check them here and know how to recover your bricked phone. As we already mentioned in our “Precautions To Avoid A Bricked Android Phone” guide. That always takes the full system backup of your phone. If you already did that before flashing anything on your phone, then you are lucky and quickly fix your bricked Android phone. This will help you to restore the previous system version on your phone. All you have to boot your bricked Android phone into the TWRP recovery mode. Then you can quickly restore the system backup with the Restore option of TWRP. The simplest way to unbrick your phone. If none of the above mention methods will work for your then, this is the last method which you can use on your phone. This restores the phone to its original state and will wipe your internal storage. Every phone has a different method, and the instructions for flashing a factory image differ for each device. You can find some of the best guides to doing this on the xda-developers.com. So these are some of the best methods to fix bricked android phone. If none of them works on your phone and then there is the last option for you. Take it back to your carrier’s store and tell them “I don’t know what happened, but my phone won’t turn on anymore.” Don’t tell them that you try to root your phone or trying to install custom ROM. So they will fix your phone without hesitating. Hope you like this guide. Join us in the comments to share your experiences, If you have some other tips to fix this problem, then leave the comments below.